KYIV. July 24 (Interfax-Ukraine) – Ukrzaliznytsia is interested in projects to modernize ChME3 and 2TE116 series locomotives and purchase two railroad substations. The potential projects were discussed during a meeting with the head of the commission on reorganization, acting director of Ukrzaliznytsia Oleksandr Zavhorodniy, and representatives of the RfW State Bank of Germany in Kyiv on Tuesday, Ukrzaliznytsia’s press service has reported. “Railways today are in technical default. It is negative for development, but, on the other hand, we have time to better understand our technical policy and to direct financial flows to the most important projects with maximum efficiency,” Zavhorodniy said. Railways workers are interested in investment support and despite the fact that the industry is starting to change its technical policy, they try to stabilize the operation of locomotives park and activate its work on economic parameters, Zavhorodniy said. “Because earlier the components for repairs of the locomotives were delivered from Russia, now there are difficulties with the deliveries of the components. So, we are working on elimination of such dependency and securing repairs of the locomotives by our own means,” Zavhorodniy said. In particular, this concerns an investment program to upgrade 10 2TE116 and 20 ChME3 locomotives. The payback period of the upgraded ChME3 locomotives under the best conditions is up to eight years, and almost six years for 2TE116. The participants in the meeting also discussed the next investment project on purchasing two adjustable railroad substations. These stations would be bought to provide reliable power supply for railroad section linking Yampil, Siversk, Sil, Chervony Lyman, Sloviansk, where power generation equipment has been damaged due to the ongoing conflict in Donbas. A visit by representatives of the German bank to Dnipropetrovsk Diesel Locomotive Repair Plant, where the locomotives are to be upgraded, is expected to take place in the near future. In turn, the representatives of Ukrzaliznytsia assured the bankers that a feasibility study and detailed project budget will be presented within a month. MINSK. 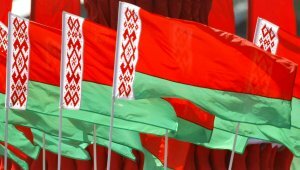 July 24 (Interfax) – The possible lifting of restrictions on Belarus-Ukraine trade will be highlighted at the July 24 meeting of the Belarusian-Ukrainian Mixed Intergovernmental Commission on Trade and Economic Cooperation in Chernihiv, the Belarusian Foreign Ministry press service has said. “It is planned to consider an increase of the bilateral trade turnover, the possibility of lifting current restrictions [including the import duty imposed by Ukraine], industrial cooperation [projects] and collaboration in the field of industry, leasing, architecture and construction, standardization, agro-industry and transportation,” the press service said. The possibility of joint projects in the fuel and energy sector, engineering and pharmaceutics will be discussed too. Agreements to be reached at the Commission meeting “will give a substantial impetus to the cooperation between Belarus and Ukraine in keynote areas of the bilateral agenda and will promote growth of the bilateral trade turnover,” the Foreign Ministry said. The meeting will be held by the Commission Co chairs, Belarusian Deputy Prime Minister Vladimir Semashko and Ukrainian Deputy Prime Minister Hennadiy Zubko. KYIV. July 24 (Interfax-Ukraine) – The Cabinet of Ministers of Ukraine has approved compensation worth UAH 742.208 million for costs associated with the implementation of international agreements on the construction, reconstruction and overhauls of the following highways: Kyiv-Kovel-Yahodyn, Kyiv-Chop, Kyiv-Odesa, Kyiv-Znamyanka, Kyiv-Kharkiv-Dovzhansky, Kyiv-Chernihiv-Novi Yarylovychi. This is stipulated in government decree No. 498 of June 17, 2015 on some issues of using funds in 2015-2017 raised in the previous years under state guarantees by the State Agency of Automobile Roads. 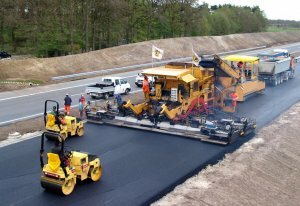 The Cabinet has approved the list of works on the construction, reconstruction and overhauls of public roads of national importance for the realization of joint projects with international financial institutions and the volume of their funding in 2015-2017 at the expense of money raised in the previous years under state guarantees. The sum indicated is UAH 104.2 million. KYIV. July 24 (Interfax-Ukraine) – The European Association for Logistics and Transportation in Healthcare intends to assist Ukraine in the development of licensing conditions for the implementation of business activity in medicine distribution for the effective implementation of European experience in the country’s legislation. 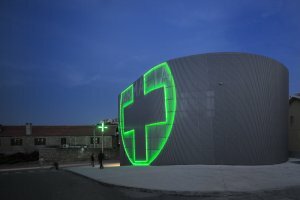 According to the press service of the State Administration of Ukraine on Medicinal Products, its representatives agreed to cooperate with the European Association for Logistics and Transportation in Healthcare. Association Chairman Jean-Francois Fusco presented the possible options for medicine distribution in the European Union. In particular, participants in the meeting discovered who is responsible for the quality and safety of pharmaceutical products at every stage of logistics operations, how customs warehouses which store medicine are equipped according to European standards and regulations, the specifics of cooperation between producers, distributors and logisticians, as well as the range of services that can be rendered by distribution and logistics companies. In addition, Fusco emphasized the need to optimize the supply chain, as the shorter the distance pharmaceutical products pass from the producer to the consumer, the greater the guarantee of their quality being preserved during transportation. KYIV. 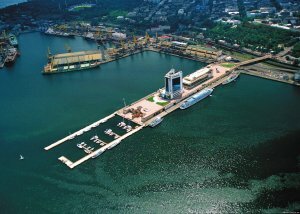 July 24 (Interfax-Ukraine) – Ukraine’s investment attractiveness could suffer due to incident involving the beach at the Zeleny Bereh recreation center in Odesa, businessman Vasyl Khmelnytsky has said. In an open letter, a copy of which has been sent to Interfax-Ukraine, he said that he supports idea of the country’s authorities to make Odesa region a model region and attract investors to it, although he insists that civilized methods must be used to achieve these goals. The actions of Head of Odesa Regional Administration Mikheil Saakashvili constitute populism and an invasion of private property, he said. The businessmen said that the Ukrainian authorities should focus on promoting business development that creates jobs without threatening businesspeople and using administrative resources. He said that the unfinished recreation center Zeleny Bereh is in private ownership and is located on a legally leased land parcel under the agreement with Odesa City Council. Khmelnytsky said that on July 20 a representative of the city authorities gave instructions to present permits within 10 days or remove the fence. However, the fence was removed at once, without a court ruling and or the presence of representatives of law enforcement services. He also called on the country’s authorities to avoid populism which always results in poverty, saying the government should work on improving the business climate in Ukraine instead. On July 20 Saakashvili, accompanied by the head of the Odesa police, emergencies service and a bulldozer at the Zeleny Bereh recreation center and organized the removal of a fence barring entrance to the beach. KYIV. July 24 (Interfax-Ukraine) – The Cabinet of Ministers has established the interdepartmental commission for public investment projects which will select investment projects and determine the volume of their financing. According to the website of the Ministry of Economic Development and Trade, the Cabinet by its decision of July 22 approved some issues of public investment management, including a new procedure of selecting investment projects by the interdepartmental commission. “For a long time there has not been a system for selecting investment projects. Now decisions on the selection of projects will be made through an open procedure by the collegial body – the interdepartmental commission on public investment projects,” First Deputy Trade Minister Yulia Kovaliv said. 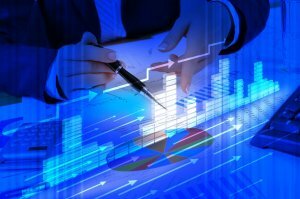 For the first time, new principles of public investment management will be used in the formation of the draft national budget for 2016. The selection of projects is scheduled to begin in July 2015, and the first meeting of the commission will be held in September. The procedure of project selection provides for conducting state examination, a clear economic justification, and determining the expected economic effect.